The ideal place to bring out the competitive streak in your family! Hours of fun even if it’s raining outside, with games of Pool or darts and family board games on hand. There is also a piano for family sing-alongs. 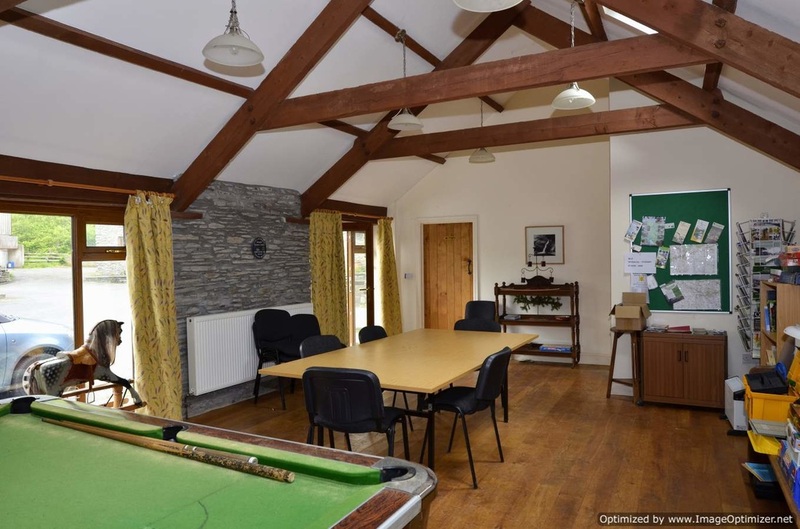 Previous guests have found the games room perfect for family gatherings and even family meals. 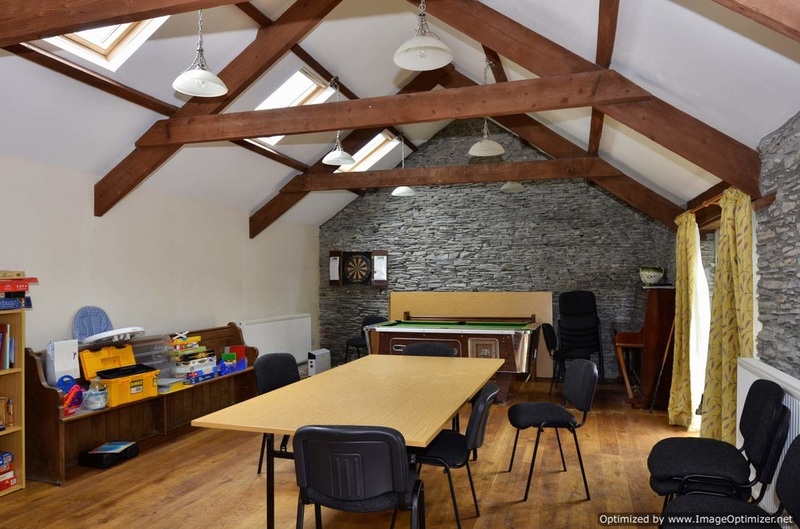 With it’s own fully equipped kitchen the games room is ideal for feasts and functions. 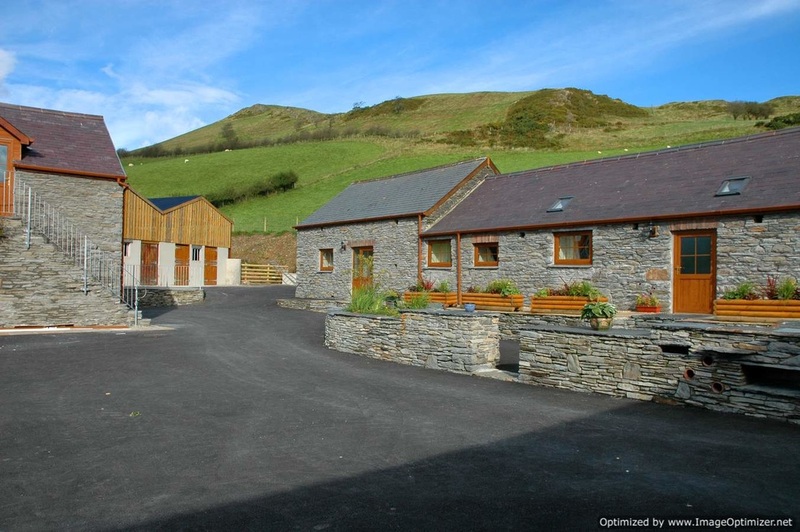 It is also where we have many local tourist information brochures so when you’ve had your fill of riding, cycling and walking in the magnificent Cambrian mountains in Mid Wales, or strolling along the award-winning beaches along the Ceredigion Heritage Coast you can find out about the attractions, arts and entertainment in our local area. We welcome groups of walkers, cyclists, anglers etc. With the games room you have the facilities to meet and plan your daily activities. Visiting walkers are welcome to attend a walk organised by Tregaron Walking Club – Clwb Cerdded Crwydro Caron – they offer a full programme of walks throughout the year. 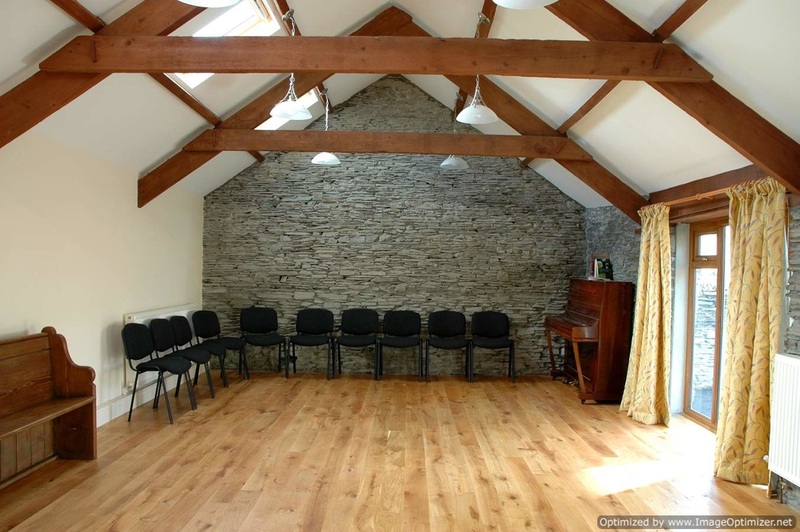 Our games room is the ideal venue for functions. Whether you are looking to organise a full day meeting, a corporate meal or a social gathering then we have seating available for up to twenty people.